Art Primo: Blog - The True Tubs Story. 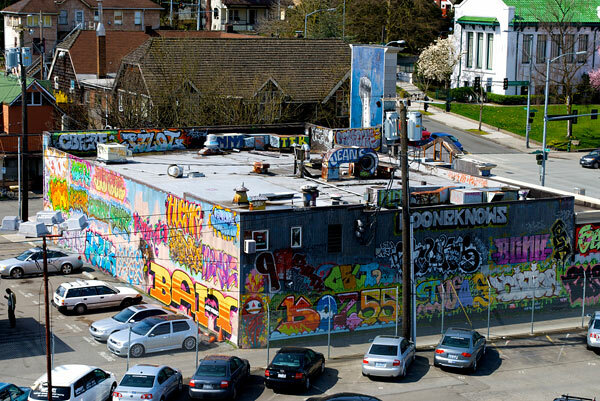 You know its a pretty amazing thing when graffiti writers get together and just do what they do without all the ego's, BS and general third grade gayness, this wall is a perfect example of that. There is so much paint on these walls that you have to get a birds eye view to appreciate it. Well someone did, and this is a stolen flick. I want to live in the paint. (ap reply) I think you meant live in a tub of the paint. AWSOME!! I HAVE THAT FREEDOM! Home » Art Primo: Blog » The True Tubs Story.